Microsoft has been talking up the forthcoming Xbox TV service and the new voice search, with Kinect tech soon set to be using Microsoft Bing search on your Xbox 360 via your television. The new Xbox experience, as Microsoft refers to it, begins by giving you further control over your television and entertainment. "It begins by giving TV a new voice: yours," says Microsoft, showing off a completely reworked Xbox interface which has been specifically designed for Kinect voice control. 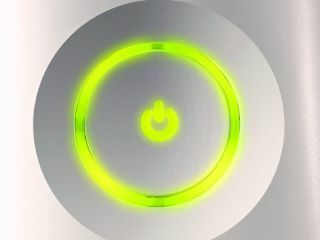 All you need to do is speak what you want to see or hear from your Xbox and the interface will deliver. Just say "Xbox: Music" or "Xbox: Video" and your console will take you directly to the category you desire, as a demonstrator explains to the E3 crowd. Microsoft goes on to demo YouTube on Xbox LIVE and informs the crowd "we're excited to announce that Bing is coming to Xbox. You say it, Xbox finds it." "I'm excited to announce that this is the year live television comes to Xbox 360," continues a Microsoft rep on the E3 stage, demonstrating a new TV listings interface and DVR settings. The new Xbox TV and Bing features are set to arrive later this autumn. Expect more details on the pricing and plans for the UK shortly.